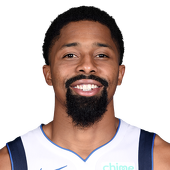 Experts rank this player at 32nd among PG's. Based on his stats from the past 30 days, he is currently ranked 25th with 1900 total points (26.76 avg). His average points in the past two weeks have dipped quite a bit at 7.3. Shooting 38.57% from the field this month. Shooting 23.88% from beyond the arc this month. I'd love to play against him in a game of 'HORSE'. He is ranked 83rd this month in assist to turnover ratio with 2.02. Bad point guard averaging only 2.67 apg this month. Rebounds per game are at 2.33 for the month. Played in 9 less games this year than last year. Experts don't even rank him among SF's. Either he is injured or is just plain bad. Based on his stats from the past 30 days, he is currently ranked 15th with 1815 total points (25.21 avg). Decline in numbers lately by 4.4 PPG. Shooting 44.78% from the field this month. Shooting 34.21% from beyond the arc this month. Not too good. Assists per game numbers are 2.57 apg this month. Rebounds per game numbers are great for a small forward with 8.43 rpg this month.